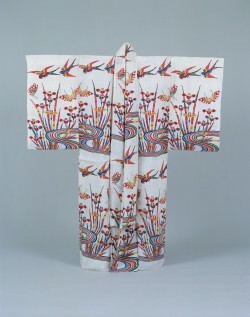 This is a BINGATA-dyed summer costume for women. 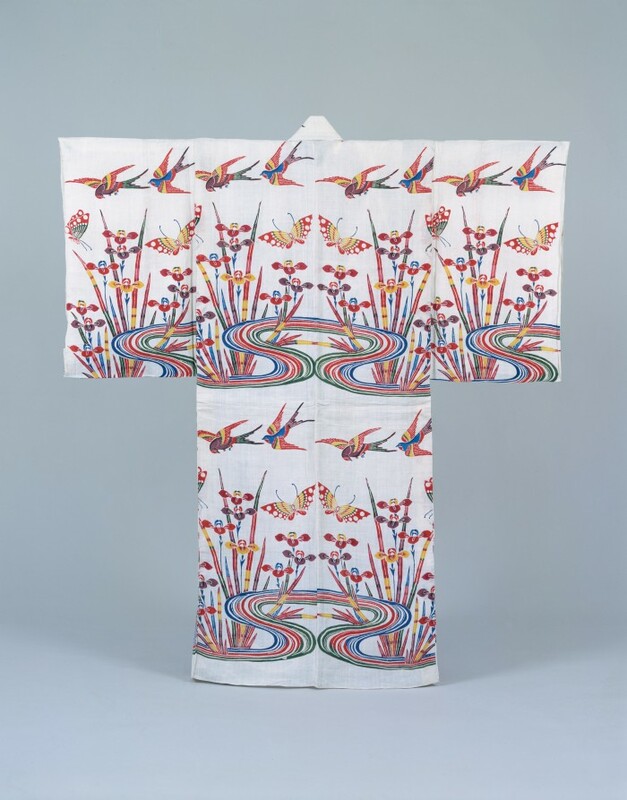 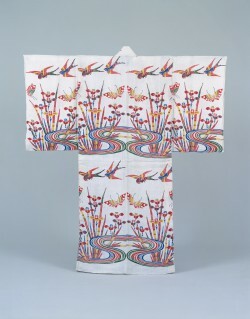 The sweet flag　pattern gives a sense of early summer, and the way butterflies and swallows fly around sweet flag were expressed on a white ramie cloth. 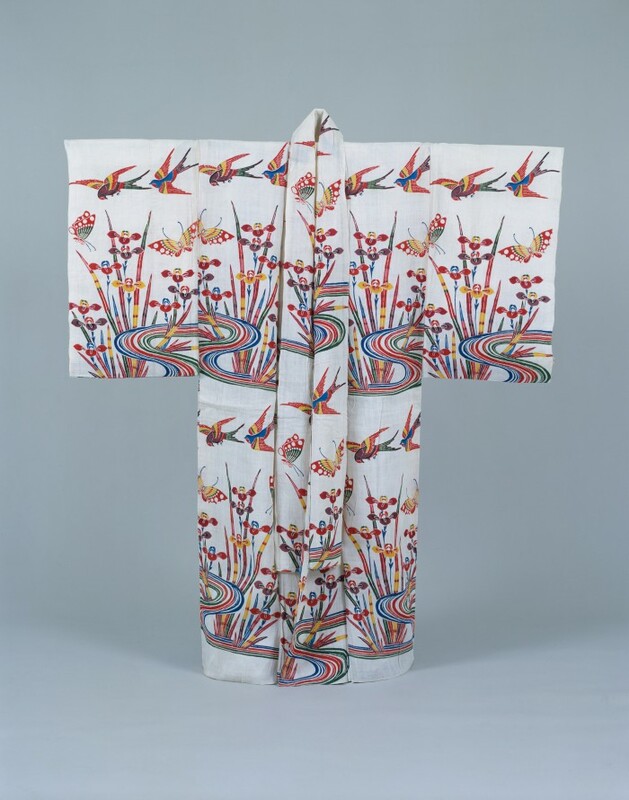 The whiteness of ramie brings out the clearness of the different colored patterns.